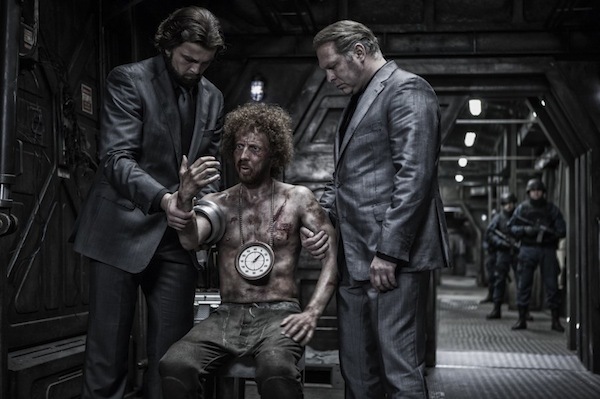 Now in the year 2031, life on Earth is barren except on the train Snowpiercer. The train has been circling the world perpetually for years. The train has a 1001 coaches with passengers separated between the first class and coach. The first class passengers are wealthy patrons who paid for their expensive tickets when the train was first set to launch. Passengers in coach are free loaders who boarded the train out of sheer desperation. Life for the coach passengers are hellish as they are fed only a mysterious substance known as protein jelly and are kept in line by the threat of violence by security. A man from the coach section named Curtis then sets out to take over the engine room and free his people from the tyranny of the first class passengers. Meanwhile, a Korean man named Namgoong Min-Soo possesses inside knowledge on how to bypass the security systems found within each section of the train. 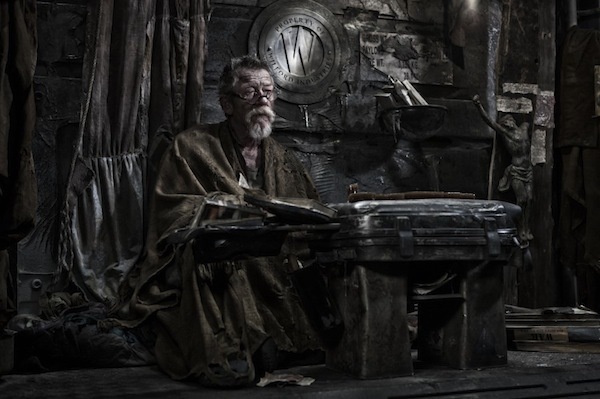 "Snowpiercer" is based on the French comic "Le Transperceneige" by Jacques Lob. 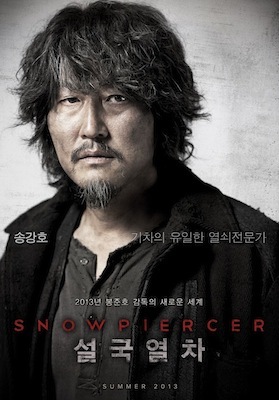 September 15, 2010 - director Bong Joon-Ho has finished the first draft for "Snow Piercer". Second draft was finished December 8th, 2010. 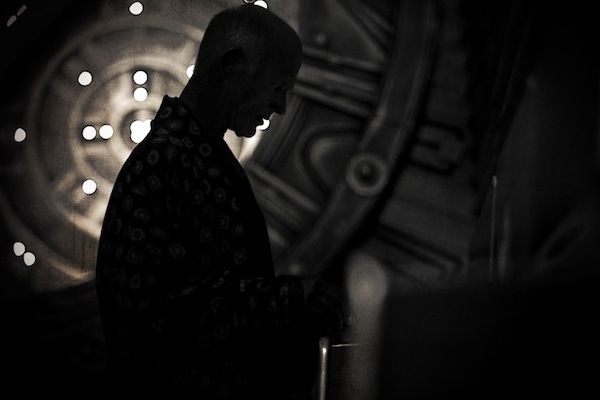 May, 2011 - the final draft has been completed.. Movie will contain roughly 50% Korean dialogue & 50% English. Pre-production has commenced. Art director Ryoo Seung-Hee and his team is working on the art design - front and back of the train, engine. Approximately 90% of the movie takes place on the snow train. 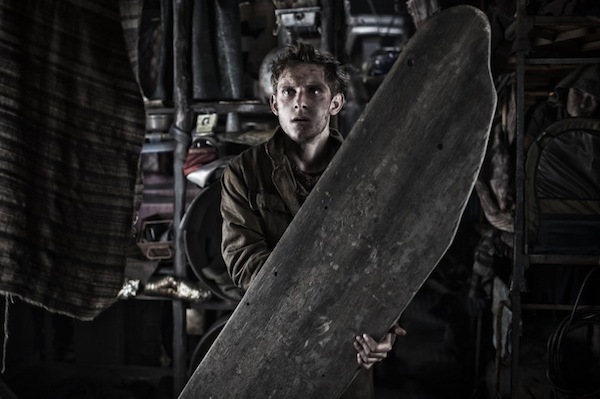 Shooting set for the snow train takes place at Barrandov Studio in Prague, Czech Republic. Filming began April 16, 2012. Some preliminary shooting took place in late March on Hintertux Glacier, Tirol - a western province of Austria. 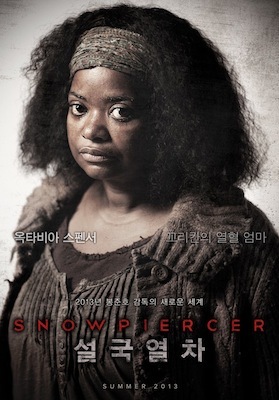 July 2, 2012 - Korean distributor CJ Entertainment has decided to invest a total of 45 billion won ($39 million USD) for the movie "Snowpiercer". CJ Entertainment originally planned to invest 15 billion won and receive domestic (Korean) distribution rights, with the rest of the money coming from investors overseas. Even though filming began in April, Hollywood companies postponed their investments until after watching the movie. Because of this, CJ Entertainment has decided to increase their investment to the 45 billion won total. The movie is on track to finish filming in late July or August, 2012. 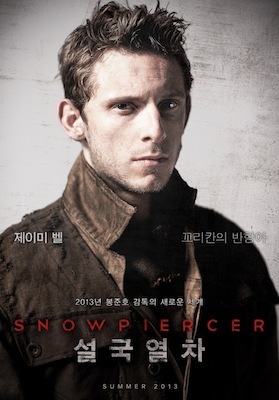 July 14, 2012 - filming for "Snowpiercer" finished July 14, 2012. The movie filmed in the countries of Austria & the Czech Republic. 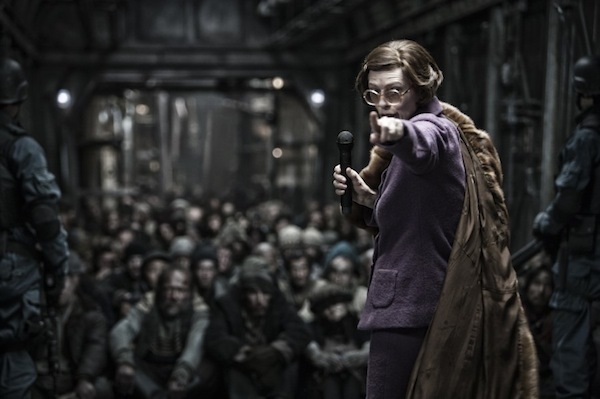 Even before the movie's release, "Snowpiercer" has recouped nearly half of its investment cost thanks to licensing sales (20 billon won) to international territories including US, Canada, England, New Zealand, Fance, Japan, Rusia, East Europe, South America and East Asia. 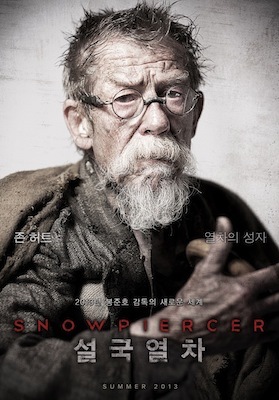 According to KOFIC, movie "Snowpiercer" surpassed 5 million admissions in 10 days. It is tied with "The Thieves" and Hollywood film "Iron Man" as the second fastest film in South Korea to surpass 5 million admissions. 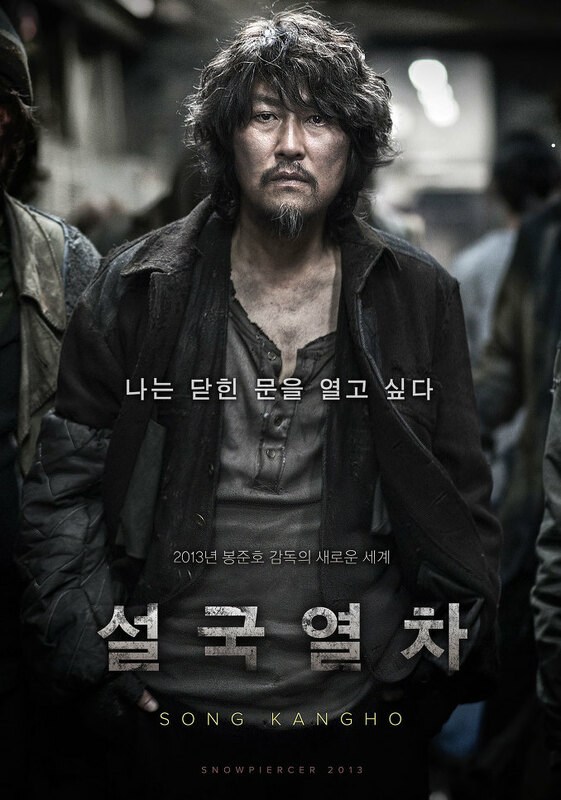 Director Bong Joon-Ho's prior film "The Host" holds the record by passing 5 million admissions in 9 days. Prashast Singh Dec 13 2017 7:57 am Expected way too much, but still satisfied. It's actually a good action/SF movie, and undoubtedly worth watching in extremely him quality. The visuals blew me. The action was good as well. Song Kang-ho never fails to surprise. Others actors were good too. The film however seemed a bit too slow at times, putting the entire film into an endless drama zone, though it's filled with plenty of action. Not very thrilling, but yeah entertaining of course. In my honest opinion, the film is GOOD and entertains 60%. William Vu Feb 28 2017 3:35 pm Snowpiercer the first English language film and then it's the second film Okja. I really like that. citizen Jun 07 2014 7:12 pm I'm actually a high school girl (referring to an earlier post by a high school girl) but I think this movie is perfect. The message is so well done and every aspect of this movie was well thought out. I give this a 10/10 and ranks as high as The Dark Knight. I'm not sure but I think other people are missing the message of the movie. Movies that reveal every aspect of the situation including the "bad guy's" and force viewers to question what really is "sanity" and maybe even convince viewers that what the bad guys were doing is somewhat for the greater good if not logical is really mind blowing. It's really hard to find a movie like this. 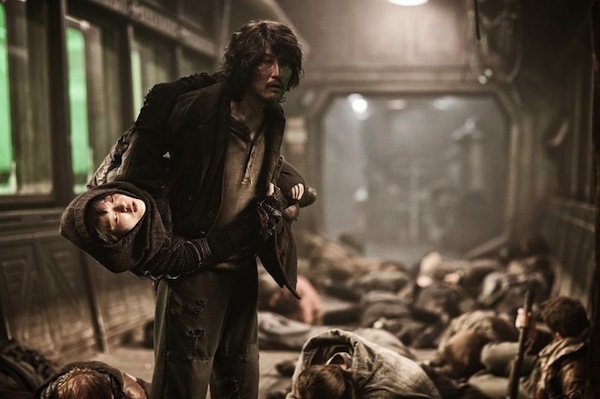 The Dark Knight and Snowpiercer really questions humanity on each individual as well as society as a whole. The action is just a plus despite its violence (I had to look away sometimes). There's just so much symbolism, explores such an abstract theme, and it's just really well made. Rainets Apr 07 2014 12:46 pm Made me ate a goat, would not recommend this movie, but i'll rate it a 8.0/10. I think i'll tell my friends to watch it, beginning was on track but near the ending it felt like it went on the wrong train track or something. Yunice Aug 11 2013 6:01 am I just saw this movie today (yes, I live in Korea) and I have to say, it was a little disappointing. Maybe I expected too much after seeing the reviews and hearing how mind-blowing it was from the people around me, but the ending is going to leave you wondering '....What the hell just happened?' The story is pretty great, the scenes are great, the action scenes were a bit bloody for my taste but I'm a female high school student so I'm sure others are going to be enjoying it much more than I did. It's just...the ending is so...well, it leaves the viewer wondering about a lot of things. On the other hand, Song Kang-Ho's acting was a little brief but charismatic. He is a great actor, seriously. It's too bad the western audience can't understand Korean. Tilda Swinton was also a great choice. Ko Ah-Sung just seemed cute to me. Chris Evans was definitely different from his role as Captain America. I wouldn't have recognized him if I hadn't known in advance. The movie was obviously a reference to class differences in social society and I loved the message it was sending. It kept its focus during the first half, but I have no idea what it was referring to when it strayed a little bit near the ending. Yeah, again I hate to say it but the ending....I really want to know what was in the director Bong Jun-Ho's mind when he wrote it. I'm not criticizing, I'm just saying I really do not understand. Overall, it's definitely worth watching because...come on. A train full of people who survived a man-made ice age? That is an awesome story. 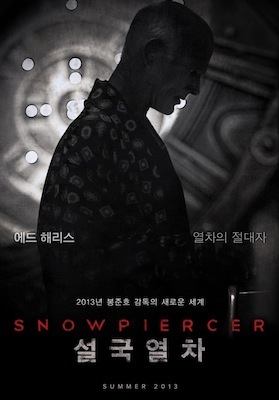 Ki Aug 04 2013 4:03 am Snowpiercer has been on my too see list for a very long time. Getting to watch it during its opening weekend here in Korea was cool and for the most part the movie did not disappoint. Since the dialogue is all in English (outside of Song Kang-Ho's lines) and the actors are mostly Western actors the movie feels like a Hollywood film, but leaves the viewer with a wee bit more food for thought than the typical Hollywood blockbuster type of film. While watching the film I did think the first half was its strongest and second half wandered a bit. CGI and special f/x is nothing special, but that's almost like secondary to what goes on inside the train. 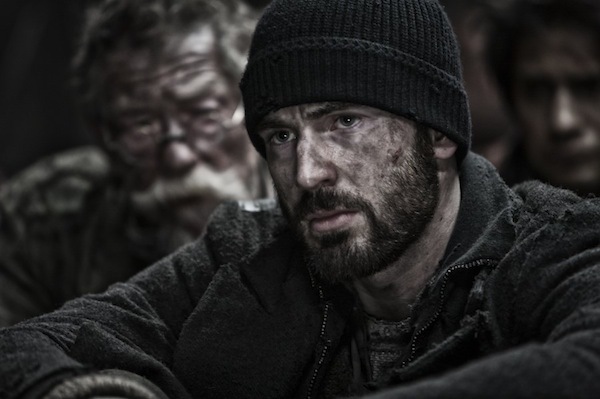 While I thought Snowpiercer was good, a few things did stand out as negatives. Towards the end of the film, the lengthy dialogue scenes felt jarring - almost like they ran out of production money and at the last moment decided to fill it up with dialogue scenes. Also, I didn't think Ko Ah-Sung was the proper choice for her character as the clairvoyant drug addict - the times that she was stoned/tripping in particular didn't look authentic. There's also a few one liners spoken by Chris Evans that seemed stiff and stood out - though he was convincing most of the time. 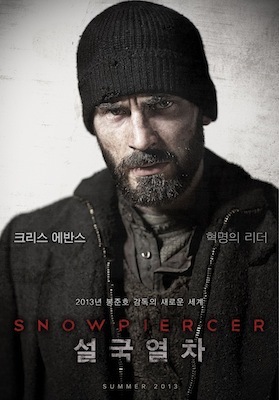 Besides that, I did think Snowpiercer was pretty cool and wouldn't hesitate to recommend the film, especially to western friends. Movie does have lots of great graphic action scenes, keeps you on the edge of your seat most of the time and the movie leaves some things for the viewer to think about in regards to society. 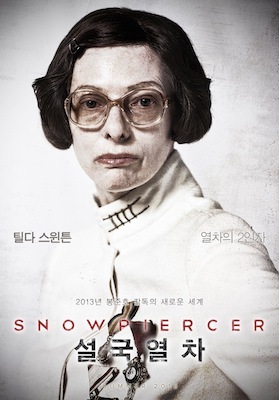 Song Kang-Ho and Tilda Swinton were great in the film as well. 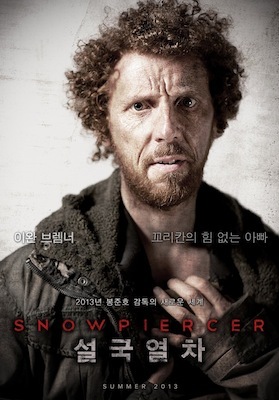 Snowpiercer would rate about 7.5/10 in my book. '봉준호의 글로벌 프로젝트 ‘설국열차’', "Mediaus," "May 4, 2011."